ISLAMABAD: The National Electric Power Regulatory Authority (Nepra) has approved Net Metering Regulations 2015 in an effort to facilitate the consumers who generate power through solar panels or wind mills, sell to a distribution company and receive monetary benefits. 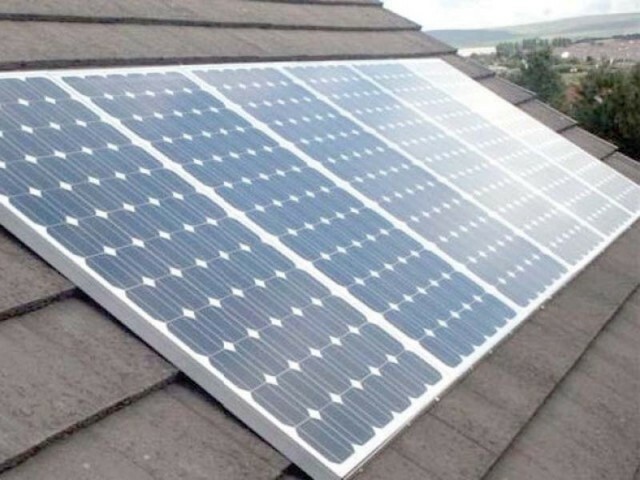 According to a statement issued by the regulator, the net metering regime allows utility customers, having a three-phase electricity connection, to offset some or all of their electricity use with self-produced electricity. Net metering works through the installation of a meter that is able to record energy flow in both directions. The meter records when consumers draw power from the utility grid and use more energy than they produce and also records when they send back energy to the grid and use less than they produce. At the end of a month, the consumer is billed only for the net electricity used. Net metering works only for the grid-connected systems and the excess energy sent to the utility will be paid for at the rate identified in the regulations. To take benefit of the facility, according to Nepra, a three-phase consumer should submit an application with the local sub-divisional office of the distribution company concerned and provide all the relevant information pertaining to the installed power generation system, whether solar or wind. The net metering system will encourage domestic and commercial consumers to set up their own small-scale grids connected to the solar photovoltaic and wind plants. Though there was an option for wind power generation, Nepra recommended that consumers should opt for solar power production as solar panels were readily available in the market and they made maximum use of the available space. “This will not only help in boosting the renewable energy market, but will also result in adding surplus units to the national grid, contributing to a reduction in electricity demand and helping resolve the energy crisis,” it said. Published in The Express Tribune, September 4th, 2015.